You won't be able to keep your paws off our new designer pet collars, clothes and supplies from Snooty Pooch Boutique! A purse and discreet pet carrier in one stylish and sturdy bag. Airline approved. Create a timeless memory by turning your pet photos into original sketches with these hand drawn pet portraits. 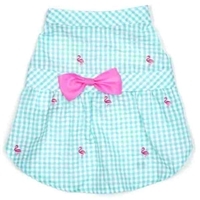 A teal gingham check shirt with embroidered pink flamingos for small to large dogs. 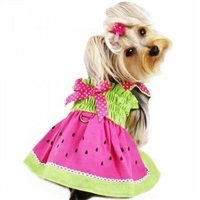 A teal dog dress with a pink bow and embroidered pink flamingos. For small to large dogs up to 85 lbs. 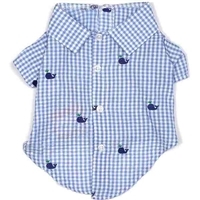 A blue gingham check shirt with embroidered whales for small to large dogs. A stylish faux fur dog carrier for dogs up to 10 lbs. We're always adding new collars, clothes, accessories and supplies to our shop so check back frequently! You won't want to miss out! !